home » contact » about dr. fred gallo, ph.d. Welcome to my Energy Psychology® website! I hope that you are finding the information and resources helpful. This site is regularly updated, so please visit often. And now here is some information about me and my work, just in case you’re interested in that sort of thing. Since 1974, I’ve been a practicing clinical psychologist, although I became passionate about the mind, psychology and hypnosis during my teenage years. In 1968, I graduated from Duquesne University with undergraduate study in philosophy and psychology. The day after graduation, I suffered a severe automobile accident and had a near-death experience. (For many years after the accident I experienced frequent panic attacks, which I eventually overcame without formal therapy.) After recovering from injuries and a spleenectomy, I took a job teaching English, French, theater and civics to 8th graders at a parocial school in Pittsburgh. During that time, I discovered the therapeutic value of acting for several of my students. In 1969, I also attended graduate school in philosophy at Duquesne and became interested in existentialism and phenomenology. However as much as I appreciate philosophy, I needed to pursue a more obviously practical field. After traveling the United States and then working as a youth counselor for several years, I completed graduate training in clinical psychology and human development, receiving an MA from the University of Dayton and a PhD from the University of Pittsburgh. I also attended postgraduate study at Kent State University and Youngstown State University. My clinical psychology internship was at Dayton Mental Health Center. Before entering private practice, I worked in the fields of juvenile corrections, intellectual and developmental disabilities, learning disabilities, child welfare, vocational rehabilitation, chemical dependency, and I also taught briefly at Penn State University. I have been on staff at local hospitals since 1980, consulting with physicians about the care of patients. I also consult to therapists at several agencies that service children and families. I have been a member of the American Psychological Association (APA) and the Pennsylvania Psychological Association (PPA) since the mid 1970s. Since its inception, I have been an advisory board member of the Association for Comprehensive Energy Psychology (ACEP) and Past President of that association (2015-2016). Since 1993, I have written and presented extensively on Energy Psychology. Besides numerous manuals, journal articles and book chapters, I’ve published 8 books. The field of Energy Psychology was named and introduced by my 1998 book, Energy Psychology. 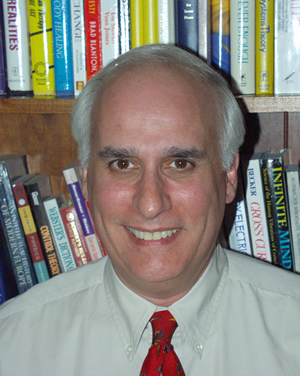 Next followed Energy Diagnostic and Treatment Methods in 2000; The Neurophysics of Human Behavior (Furman & Gallo 2000); Energy Tapping (Gallo & Vincenzi 2000, 2008); and an edited volume, Energy Psychology in Psychotherapy in 2002 (focusing on the spectrum of energy psychology approaches with chapters by major contributors to the field). My sixth book is the 2005 second edition of Energy Psychology, a revision with expanded chapters and extensive information on energy psychology research, treatment approaches, and resources. The seventh book is Energy Tapping for Trauma (2007). And the eighth is the second expanded edition of Energy Tapping in 2008. I’ve also published numerous manuals on energy psychology, Energy Diagnostic and Treatment Methods (EDxTM)™, Energy Consciousness Therapy (ECT)™, Mindful Energy Psychology (MEP)™, and the Identity Method (IM)™ in English, German, Polish, Italian, Finnish, Spanish, and Swedish. So far several of my books have been translated into German, Spanish and Russian. I also published an audiotape and CD on the Healing Energy Light Process (HELP™) and a DVD covering several techniques from Energy Tapping for Trauma. You can read about these books, manuals, and the audiotape in other sections of this site. I’m also pleased that many of my students in the USA and Europe have published successful books on Energy Psychology. Several years ago I developed Energy Consciousness Therapy (ECT)™, which integrates principles of energy, thought, consciousness, and spirituality into a therapeutic-communication methodology. ECT emphasizes the elevation or expansion of consciousness and thus understanding with regard to specific problem areas to promote lasting and generative change. In simple terms, ECT is a method of helping you to disconnect from a specific problem by experientially witnessing its essential structure and accessing innate mental health. This approach also emphasizes the importance of common sense and the therapist’s mental health and intuition in the therapeutic encounter. Recently I have been developing the Identity Method (IM)™, and Mindful Energy Psychology (MEP)™ that involves focused mindfulness to treat and transcend psychological problems, including global ego states or controlling identities. This method draws on the work of Tsultrim Allione, David Bohm, Pema Chödrön, Milton Erickson, Werner Erhard, Eugene T. Gendlin, Machig Labdrön, John Mace, Fritz Perls, Eckert Tolle, and Stephen Wolinsky. (No doubt there have been other formative influences as well.) In addition to meditative processes and techniques to instill presence and quiet the mind, IM involves placing attention on specific sensory representations of a problem (focused mindfulness) in order to transmute its energy and actualize positive outcomes. I’ve established two free email lists: the EnerGym Forum, which focuses on a variety of energy-based and therapeutic topics available to anyone interested in such topics; and the EDxTM Forum, which offers ongoing support for Energy Psychology and EDxTM professionals. Information on participation in these lists can be obtained by going contacting fgallo@energypsych.com. You can directly subscribe to EnerGym at energym-subscribe@yahoogroups.com/. In addition to writing and training professionals, I maintain a clinical practice in Hermitage, PA–Gallo & Associates–which offers services to adults, adolescents, and children. I am also on staff at the University of Pittsburgh Medical Center (UPMC) at Horizon, the Children’s Aid Society of Mercer County, and North Star Behavioral Health in Oil City, Pa. Click here for additional information about my clinical practice. Carolyn and I live in beautiful New Wilmington, PA–Amish country. Our home is situated on 11 acres with horse barn, run-in, pasture, pond, and guest house. We enjoy the company of our horse Pepper, two cats (Mel & Ellie), several fish in an aquarium (not formally christened), and who knows how many fish and turtles in the pond (not sure of their names), plenty of “visiting” Canada geese, mallards, cranes, turkeys, barn swallows, deer, ground hogs, squirrels, rabbits, and chipmunks (don’t know their names either). Most importantly, we have the privilege of three wonderful and cherished daughters (Aimée, Amy, and Pamela), loving sons-in-law, our 23-year-old granddaughter (Hanna), two 16-year old grandsons (Aidan and Michael), 14-year old grandson (Ryan), and 1-year old grandson (Sir Oliver). Although we have our share of trials and tribulations (don’t we all), life has been very good–actually quite remarkable!